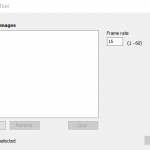 Time Lapse Tool (free and open source) builds time lapse movies from JPG images that you provide. Start the tool, set some options, browse to add your image files and let it do it’s thing. Presto! You have a time lapse movie. 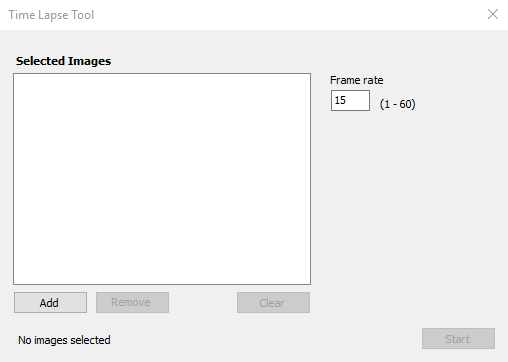 Developed in Microsoft Visual C#, Time Lapse Tool is an open source application that uses the AForge.NET FFMPEG library to do most of the heavy lifting of creating the time lapse video from a user-selected list of JPG images.